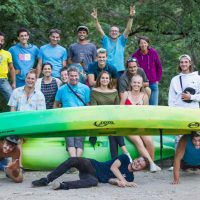 ​The Chassezac… the other river in the Ardèche ! 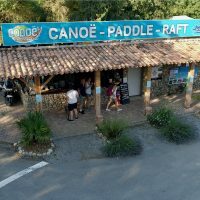 ​The ideal river for family days out or with friends ! 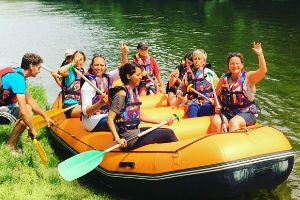 ​Family rafting excursion, combining fun, comfort and conviviality ! 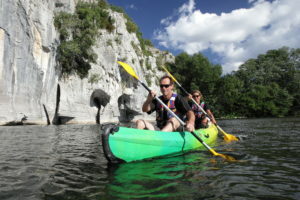 It’s the ideal option to discover this fun canoe kayak activity as a family . 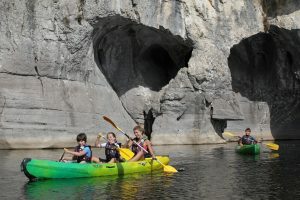 The entire Chassezac gorge, majestic cliffs, swimming and relaxation. 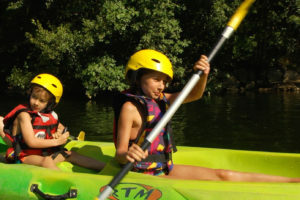 Head out for a family rafting excursion, combining fun, comfort and conviviality! Only for children ! Introduction, advanced training and they’re off on an adventure! On the flat water area you can try out canoeing or kayaking with the little ones. We are committed to respect the environment, optimise of transport, recycle waste and equipment, clean up campaign along the river banks. 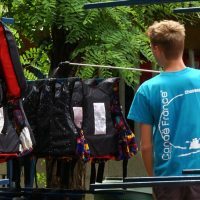 Is involved in the development and growth of its expertise, plays a part in the conception of increasingly efficient equipment together with other professional bodies FLNPCK, Canoe France…with the aim of improving the quality of service year on year. Amazed by this astonishing river, we have been living and working for more than 20 years in the area. Our involvement locally and knowledge of the area will help you plan and achieve your holiday wishes.Get in touch!